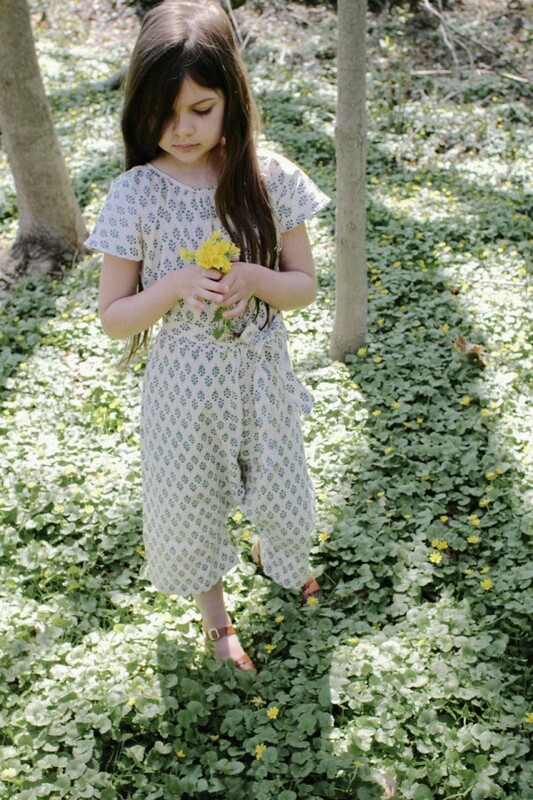 Pierrot La Lune, is an amazing Danish brand offering organic and fair trade children’s clothes. The clothes are relaxed and comfortable, yet interesting and thoughtful. They are clothes to play in, that also look effortlessly sophisticated. 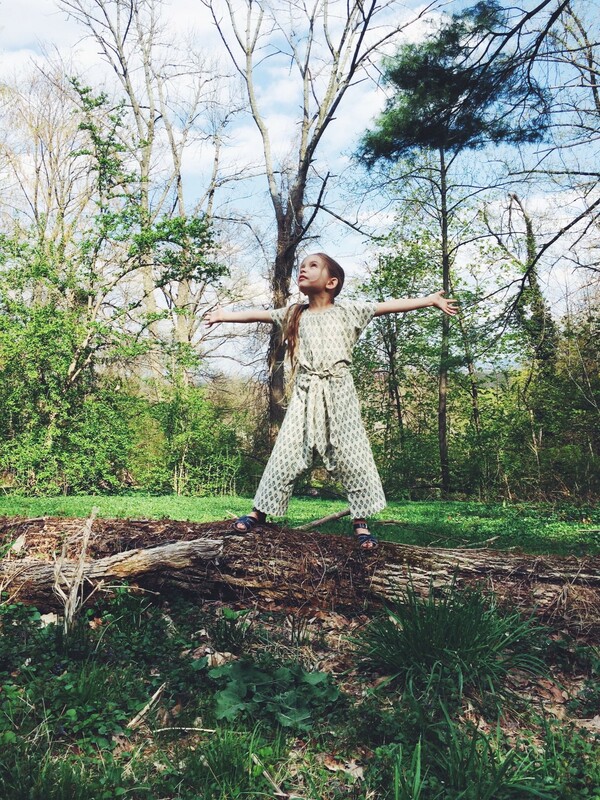 Pierrot La Lune have successfully made perfect children’s clothes! I just adore what they are doing and was delighted to interview the Emilie Ventujol, the beautiful spirit behind the brand. Q: Tell me about your company name Pierrot La Lune, a literal translation, how the name came about and what it means to you? A: Pierrot la Lune refers to the man in the moon, in french it is an expression for when Pierrot is in the moon, he is absorbed in something, he is no longer on earth. Some other people will be more pragmatic and on earth, but Pierrot is “in the moon” and open and absorbed in the beauty around him, he wonders and finds the beauty and he is not rational. (Like a child). When I was in the planning state of doing my own brand I had a period of time where I was thinking about the brand name. I had one thing settled, I wanted it to be something french. Firstly my husband is french and I have always been in love with France, the french language and the beauty of their culture, food etc. Secondly because in a way it is a statement that this brand has class, having a french brand name. One day I was in my morning meditation and I hear this Pierrot la Lune in my head. After I went to my husband who happens to be named Pierre. He looked rather surprised and told me his mother used to call him like this as a child when he was absorbed in for instance observing ants or other wonders of nature. So this made me believe that Pierrot la Lune had chosen me and not vice versa. Q: Pierrot La Lune is a relatively new brand, started in 2013 and instantly it is blooming! What inspired you to create this label? 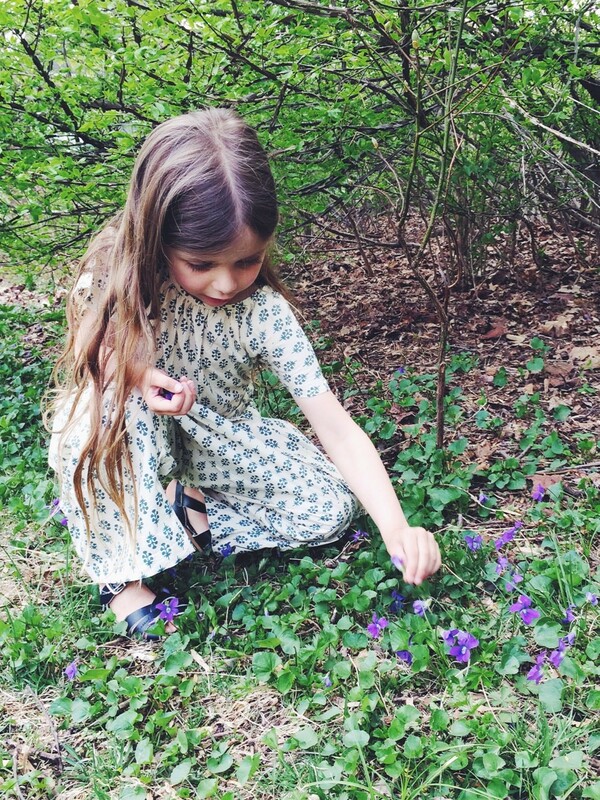 You have a history in the fashion industry, but what prompted you to make children’s clothes? A: Since I started my education as a tailor 20 years ago I loved the playful approach I could have in designing for children instead of the more trendy fashion approach in women fashion. Provence is one of my favorite places and the buildings there, the small squares with fountains and stones in beautiful colors has played a rather big role in me getting closer to the look and the style. The urge to create a universe, like a scene in a movie, a split second where the harmony is all intact. The energy of Provence, the smells of lavender and herbs and then the peace as we are always there on holiday meaning no rush, good food, restaurants, family, a lovely dress, small sunburned legs in small cute shoes, sitting and watching some old men playing “petanque”. Q: There a few key elements that make your clothes stand out, the quality of the fabric is one. Not only do the woven cotton fabrics feel soft and substantial, they are also organic, which in this day and age is so very important. Organic fabrics, and fabric quality must be priority to you? A: Honestly and very simple: if I had not been able to source the materials in organic (GOTS) cotton there would be no Pierrot la Lune. It is crucial for me. Q: The beautiful sweaters you make are handmade in Bolivia. Have you been to Bolivia to see the process? No not yet, it has not been necessary as one of my really good friends is doing this and I buy them through her. She lived in Bolivia for a few years, starting up a fair-trade approved project with funds from the Danish government. She has many women from the highlands working for her as they do other brands as well. They secure school for their children through this beautiful project. Q: ​The style of your garments are very clean, and elegant, and seem to draw from a combination of distinct cultures, which I see as Indian, and (Southern or Central?) European. Can you speak a little about how and why these cultures have influenced the design of Pierrot La Lune? A: I have lived and spent a number of years in India. So I fell in love with the beautiful fabrics and distinctive blockprints first time I went to India when I was just 17 years old. They are quite similar to the Provencal traditional prints and have connections that goes way back in history. So I have tried to interpret the oriental prints into a more western aesthetics, adapted them to our more simple style. Traditional Indian prints meeting Provence meeting Scandinavian minimalism. Q: Do you draft the garment patterns and design the fabrics prints yourself? A: I make some of the patterns myself and some I have worked out with the pattern master in the factory in India. The prints I find in markets in India where they are not under patent. I change them if they need to be changed, maybe the color or the shape of a flower etc. Q: One must assume that you have inherited an innate sense of design from your Grandfather Børge Morgensen, famous for his contributions to Danish Modern​ furniture. I think style can be learned or inherited, and in some cases if you are lucky, both. You were no doubt born with a gift to design beautiful things, and was this gift nurtured by your family in your childhood, and would you agree that your finely tuned aesthetics are both nature and nurture? A: I am off course very influenced by a family background with such a great artist in it. One of the things I have learnt is that great design needs to be backed up by a solid understanding for craftmanship. My grandfather called his studio his “laboratory” and he was educated as a furniture carpenter as very young. He knew every little step in the process of building furniture. I also see this sense for detail in my brother fashion photographer Rasmus Mogensen, who shoots the campaigns for Pierrot la Lune. A perfectionist to the minutest detail. And the result talks for itself. Maybe my clothes are very very simple but to reach the perfect simplicity can be quite a long process. Yes I have learnt to see when something works and when it dosn’t. I might not always be able to find the words to explain why but I see and feel when it works. I think that being brought up near many very talented artists and artisans has for sure trained my eye and it has also made me believe that it can provide bread and butter to be creative and artistic which was important in order to dare starting my own brand. I want my designs to be honest, I strive to reach a genuine look more than the “right” or trendy look. My grandmother was also a designer and she was able to make the most amazing dresses out of very simple handwoven materials. 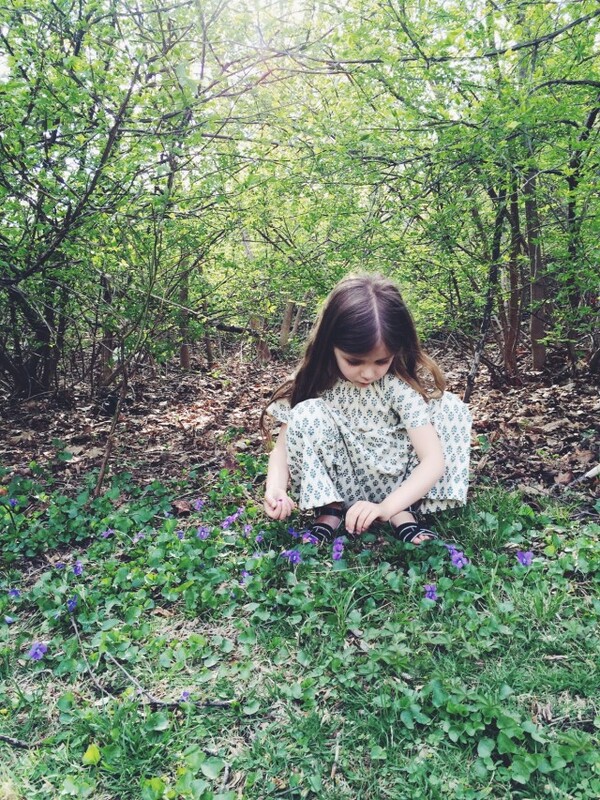 The dresses she made 40 years ago are still beautiful today and something I would wear if I had her size. Instead I take them out once in a while and get inspired. This is an ideal I really try to follow, actually very sustainable and honest. 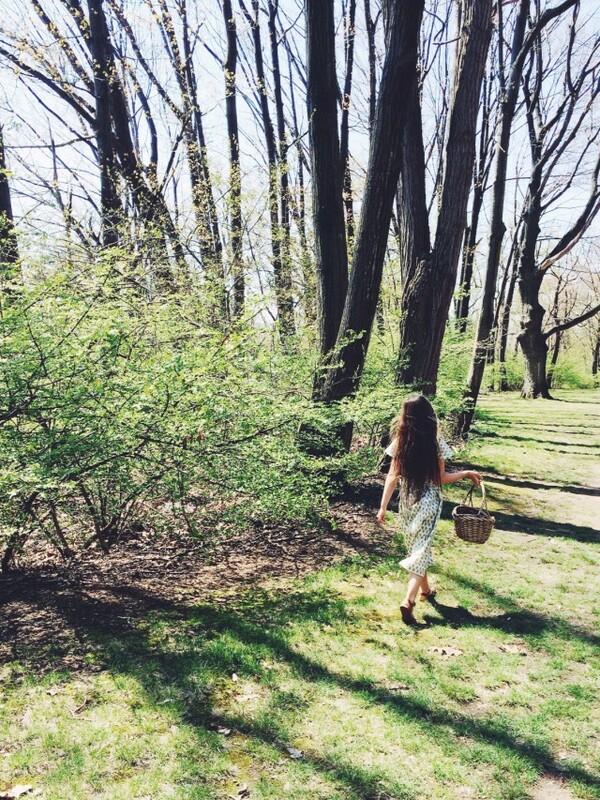 Q: From the correspondence we have had, I gather the ethics and ethos of your clothing comes from a deep personal place, and that the wise choices you make in the production of your clothes are paralleled to the everyday choices you make for the wellbeing of you family – like eating organic food! A: We strive to live as organic as we can (read: afford) in our family. In Denmark it is unfortunately still very expensive to buy organic. I am brought up in a health conscious environment and its a totally natural thing for me to eat vegetarian and organic. So without being fanatic about it both my husband and I want our children to be brought up with this consciousness about taking care of not only their bodies and souls but also taking care of the planet as a natural part of life. A demand from within actually. Q: Running your own company and being a wife and Mother takes energy and balance, what keys things do you do to keep your energy light and even? For example, what is your favorite breakfast that helps you start the day? A: I put a big effort in balancing myself from within. Meaning I dont really believe in stress coming from too much work but from too much “mess” in my mind. So I follow a daily spiritual practice with meditation and mental exercises of being in a state of peace during my daily (many) tasks. This is not always easy and I find it to be a big challenge to have my own company and two children. But still very nice to have freedom and all that it brings to be self employed. My breakfast all depends on what is in the fridge! Can be fresh spinach salad with avocado or porridge in the winter. Q: You mentioned your children are in a Waldorf School. Waldorf education fosters a love of natural materials, handicrafts, art, design, the seasons and nature. Hearing this I was delighted as we too love Waldorf ways. The philosophies of Waldorf also seem very much in line with Pierrot La Lune – This is another layer of your life emanating a reverence for the earth and everything on it. To me this strengthens your path and I interpret Pierrot La Lune as holistic. A: I get very happy to read your question as I strive to do everything in life in a holistic way. And yes the Waldorf school allows my children to develop in a natural and peaceful way. The school cultivate the interest in all the wonders of nature and the child learns to love to learn. Then after this they can learn whatever they need to learn! They allow the child to not understand all the facts about for instance an animal, instead they have to be the animal, to draw the animal, to hear stories about the animal. They say they don’t shut down the fantasy by putting too many facts. Q: Do you have a favorite piece from this collection? The moment I saw your images I was in love with the Sally jumpsuit. I can see it becoming a signature piece. A: Yes! 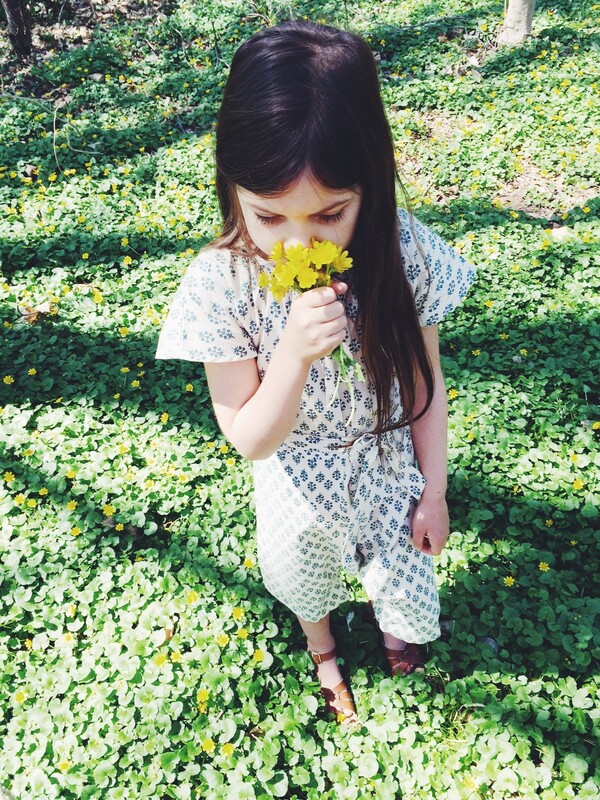 The Sally jumpsuit! I made this model in a very free way. I cut and stitched and tried it on my daughter 7 times. No pattern was really made like we usually make them. I am keeping this style for the SS15 as well in new fabrics. I also have a very strong attachment to the Milos shirt, named after my son Milos. In India boys dress up much more than in the west, wearing their traditional kurtas with embroideries and prints like small maharajas. (kings) I like the boys to wear the Milos shirt and the beautiful print is very masculine in a poetic way I find. Q: At this point Pierrot La Lune starts at size 2, do you have plans to do infant sizes in the future? Or perhaps Women’s clothing? I too would like a Sally jumpsuit! A: Many people ask me this and I would love to do a baby line one day. And yes also some simple styles for mothers could be interesting and funny. I have many ideas and hopes for the future of Pierrot la Lune. Pierrot La Lune is distributed internationally, or you can purchase direct from Pierrot La Lune. This entry was posted in I N T E R V I E W, W E A R and tagged children's clothing, fashion, organic clothing, pierrot la lune. Felicidades, me encanta tu arte, lo floral, muy hermoso, sigue así.